Many people love to drink a good latte in the morning. Others, prefer to drink it in the afternoon. However, for most of you, you need to drive a long way to the nearest Starbucks and pay a fortune. Despite the fact that one latte won’t hurt your wallet, when you’re truly a fan, you’ll be having a lot more than a latte per month. You probably will have one every single day. If the driving time wasn’t an issue, the money spent on a latte every day may be very costly. So, why not getting yourself the best latte machine and enjoy a good latte every time you want, without even thinking about the price? 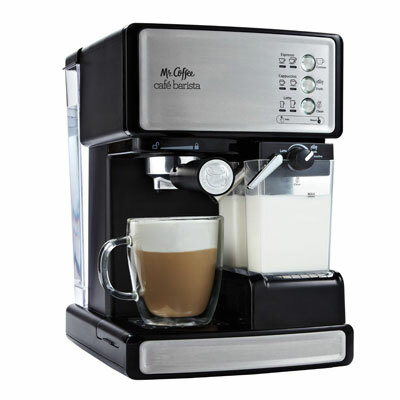 The Mr. Coffee BVMC-EL1 Cafe Latte is one of the best latte machines on the market. With one simple touch, you’ll be able to drink your perfect latte in no time. One of the best advantages of the Mr. Coffee BVMC-EL1 Cafe Latte is the fact that it has a 24-ounce capacity. This means that you can serve yourself and your family some amazing lattes without much work or time. 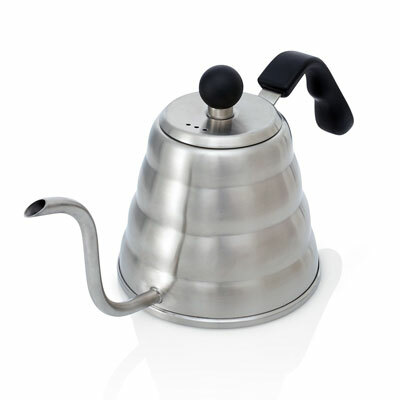 The Mr. Coffee BVMC-EL1 Cafe Latte is completely automatic. It will brew the coffee while it is heating and frothing the milk at the same time. And as soon as your latte is ready, it will auto power off. You can also use the Mr. Coffee BVMC-EL1 Cafe Latte to make some delicious hot chocolate. In case you’re missing the recipes, the package includes 20 latte and hot chocolate recipes that will leave you even more delighted with your lattes. 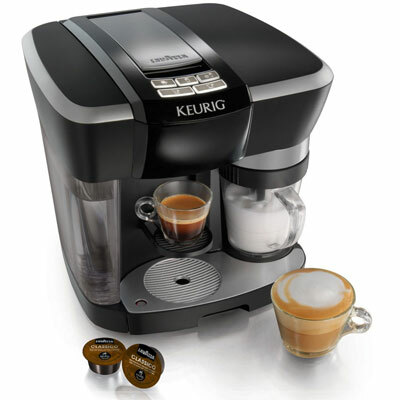 When you’re looking for the best latte machine, you need to consider the Keurig Rivo Cappuccino and Latte System. With an automatic on and off function, and with 15 bars of pressure, you can be sure that your espresso will brew in under 1 minute. One of the main advantages of the Keurig Rivo Cappuccino and Latte System is the fact that it includes three different frothing modes: cold froth, cappuccino, and latte. Besides, the Keurig Rivo Cappuccino and Latte System amazing design allows you to brew the espresso o one side and froth the milk on the other. Another option that you have with the Keurig Rivo Cappuccino and Latte System is that you have two espresso size options. You can opt for the short espresso (1.4 oz.) or the Lungo (2.8 oz.). With a compact design, the DeLonghi ECAM22110SB Compact Automatic Cappuccino, Latte and Espresso Machine is perfect when you don’t have a lot of space on the counter in your kitchen. Despite the size, the DeLonghi ECAM22110SB Compact Automatic Cappuccino, Latte and Espresso Machine is able to deliver the most amazing lattes, cappuccinos, and espressos. The DeLonghi ECAM22110SB Compact Automatic Cappuccino, Latte and Espresso Machine makes sure that you get the perfect coffee every time because it saturates the coffee grounds with water a little at a time. 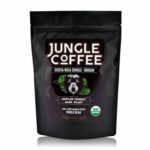 This will guarantee that you get the full flavor of the coffee extracted. 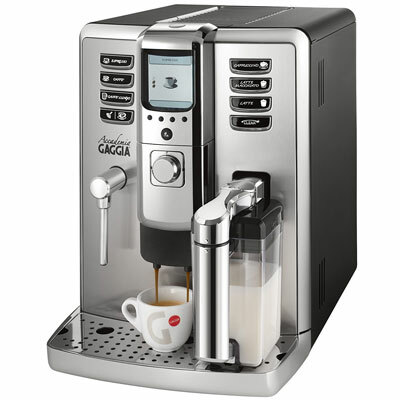 And when it’s time to froth the milk, the DeLonghi ECAM22110SB Compact Automatic Cappuccino, Latte and Espresso Machine includes a manual frother that mixes the milk and the steam to create a creamy and rich froth, just the way you like. 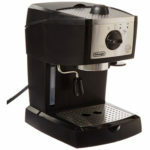 The DeLonghi ECAM22110SB Compact Automatic Cappuccino, Latte and Espresso Machine is very simple to use. 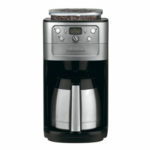 All you need to do is to adjust the menu settings for cup size, coffee strength, and temperature and you’re good to go. 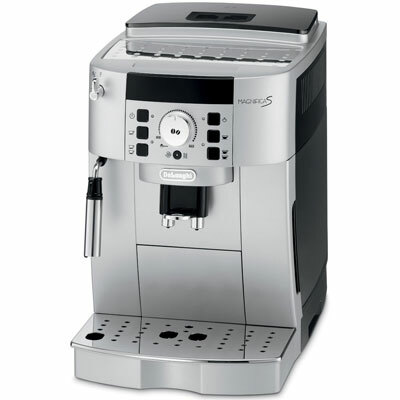 The DeLonghi Silver Lattissima Plus Nespresso Capsule System is one of the best latte machines on the market. 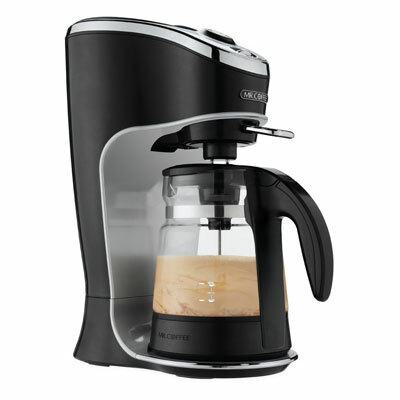 Featuring 2 coffee and 3 milk sections, you can now prepare your favorite drinks in an easy way. With a patented single touch hot milk system, all you need to do is to slide the milk tank onto the front of the machine and get ready for your latte. One of the main problems some latte machines have is the ability to accommodate the cups. However, DeLonghi Silver Lattissima Plus Nespresso Capsule System has clearly solved this problem. Using the Nespresso capsules, you can be sure that you’ll get the best espressos. 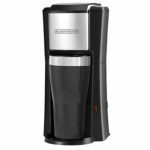 Then, just let the DeLonghi Silver Lattissima Plus Nespresso Capsule System froth the milk and enjoy your home-made latte. With 1450 watts of power, the KRUPS EA8298 Super Automatic Latte Espresso Compact Size features a compact design that will definitely fit on your kitchen counter, even if you don’t have a lot of space. With a built-in metal conical burr grinder, the KRUPS EA8298 Super Automatic Latte Espresso Compact Size and with adjustable grind settings, your lattes will be amazing. 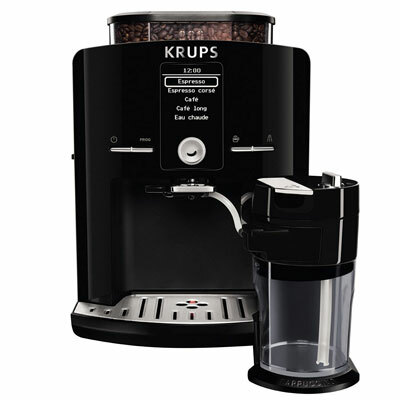 The KRUPS EA8298 Super Automatic Latte Espresso Compact Size features a user-friendly control panel with a knob and an LCD screen, making it easy and quick to make your espresso. Plus, you don’t need to have two different machines to make your lattes. 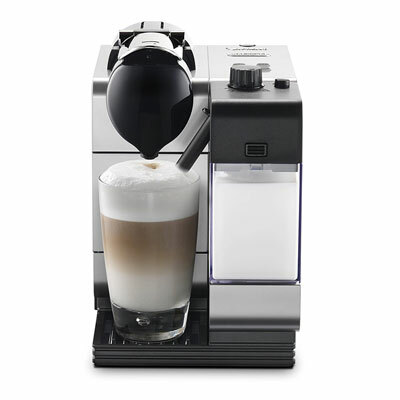 Just brew coffee and use the integrated container-froth using the same appliance – the KRUPS EA8298 Super Automatic Latte Espresso Compact Size, one of the best latte machines on the market. Featuring a one-touch control panel, the Mr. Coffee ECMP1000 Café Barista Premium Espresso/Cappuccino System allows you to choose between a single and a double espresso, latte or cappuccino shots. 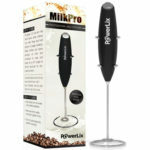 And the automatic milk frother allows you to effortlessly make your amazing cappuccinos and lattes. With a 15-bar pressure, the Mr. Coffee ECMP1000 Café Barista Premium Espresso/Cappuccino System will make sure that you get a rich-tasting espresso coffee. One of the main advantages, when you’re using the Mr. Coffee ECMP1000 Café Barista Premium Espresso/Cappuccino System regularly, is the easiness of cleaning. With removable water and milk tanks, as well as the drip catcher, the cleaning process couldn’t be any easier. 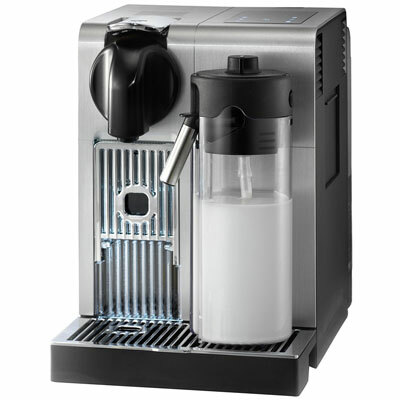 The Gaggia 1003380 Accademia Espresso Machine is a super automatic espresso machine that is considered, by many, as the best latte machine on the market. The Gaggia 1003380 Accademia Espresso Machine includes a ceramic burr grinder with double lid aroma saver which will make sure that your espresso comes out perfect. However, in case you want to use a bigger cup, you can simply adjust the height. The coffee grounds container is integrated and is easily removed from the front. So, adding more coffee to the Gaggia 1003380 Accademia Espresso Machine is extremely easy. Featuring one touch controls, it’s extremely easy to select the controls of the hot water, espresso and milk outputs that you like. You just need to push one of the seven buttons that are included: espresso, cappuccino, latte, caffe, caffe lungo, hot water, or latte macchiato. When you’re looking for the best latte machine, you need to check out the DeLonghi America EN750MB Nespresso Lattissima Pro Machine. Featuring the patented Nespresso capsule system as well as the patented DeLonghi automatic cappuccino – the Latte Crema System -, you can be sure that quality is guaranteed. With an Italian design that incorporates a sensor touch display, you’ll be amazed at the DeLonghi America EN750MB Nespresso Lattissima Pro Machine. It really couldn’t be any easier to make your preferred drinks. All you need to do is to choose among the 6 pre-programmed drinks – latte, cappuccino, ristretto, espresso, lungo, hot water function for tea, and hot milk. When you’re looking to prepare the authentic Italian espresso-based beverages, you just have to use the best latte machine. One of the main advantages of the DeLonghi America EN750MB Nespresso Lattissima Pro Machine is the way how you can easily clean it. If you look at the milk carafe, for example, you know you need to clean it up regularly. However, the DeLonghi America EN750MB Nespresso Lattissima Pro Machine includes an auto-cleaning feature. After preparing your espresso, just turn the milk regulator knob to clean. It will then release hot water through the milk wand for 15 seconds, making sure that it’s ready to be used again. As you can see, there’s no need to keep running to Starbucks every single day and spend a lot of money on gasoline and on your lattes. 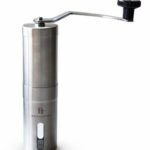 Just carefully check out the best latte machines on the market and decide which one os the best one for you. Instead of wasting the time on the drive, take that time to enjoy your precious latte in the comfort of your own home. If you’re a coffee fan like us, make sure to visit our coffee making portal and discover many interesting things and facts.